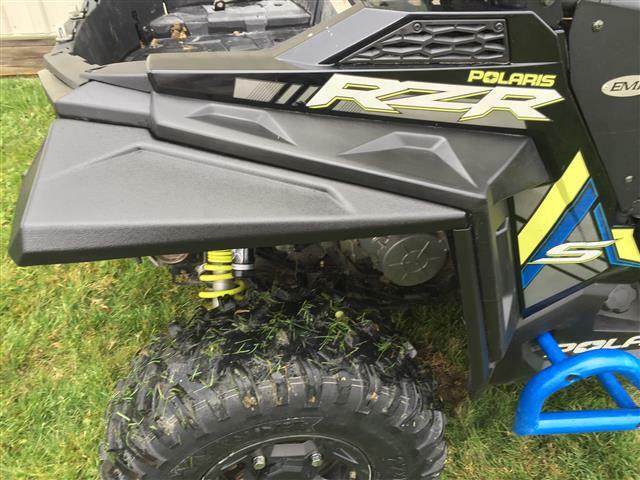 RZR Fender Flares for RZR 900-S and RZR 1000-S FRONTS ONLY!! 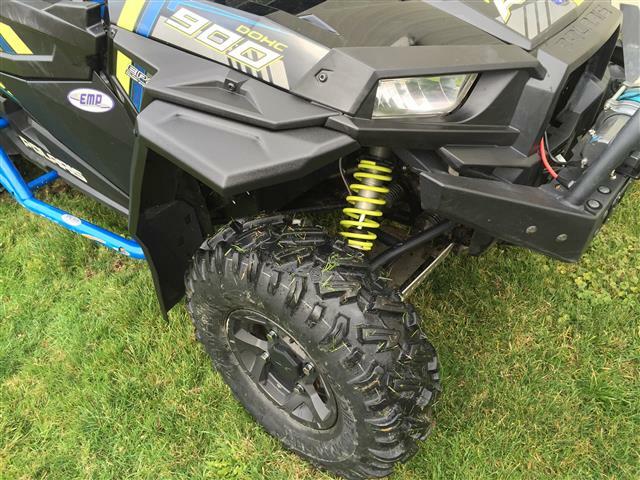 This listing is for front fender flares only. Does not include the rear flares. This will not fit the 50” and 55” RZR’s. Thermoformed to fit the stock fenders. Attaches with factory style Plastic Rivets. Now, you can finally keep the mud and water from splashing on you all day. 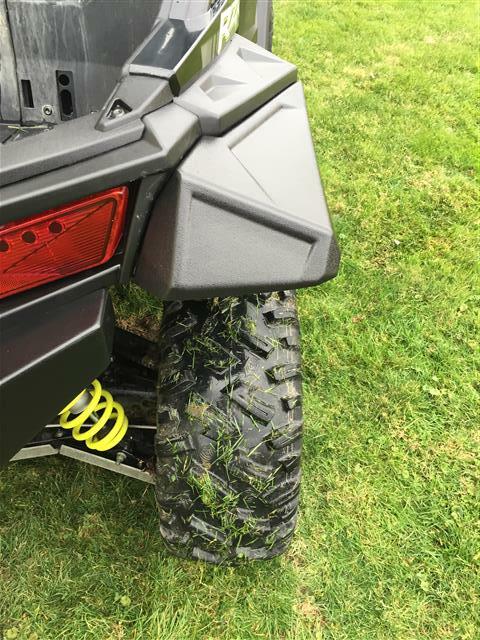 These stylish Thermo-formed fender front flares are just the protection you were looking for. They attach with factory style plastic rivets provided (you do have to drill holes on the underside of your stock fenders). These are sold as a set of two (Front Drivers and Front Passenger sides). Each flare is made of two separate parts. 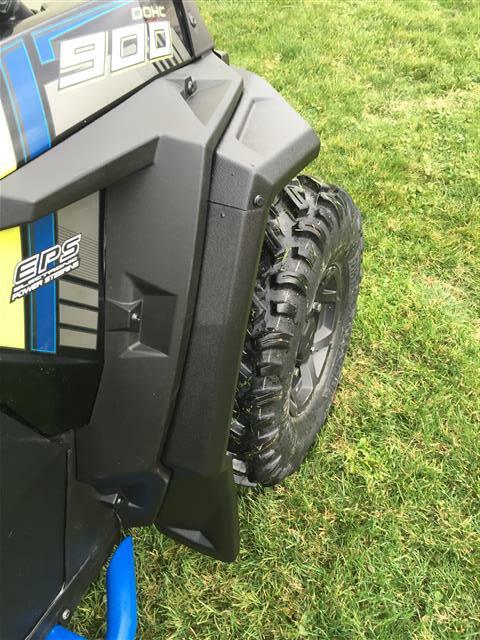 These are made from Polyethylene, the same material used to make ATV fenders for years.